your field of endeavor in 2018. Steve soon gravitated into management and eventually moved to California as executive director of a similar agency in Pasadena. 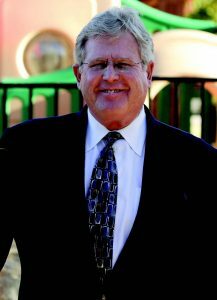 Now, as CEO of Casa Pacifica Centers for Children and Families, he oversees a program that resembles a “children’s home” – a residential treatment center located on Casa Pacifica’s 25-acre campus in Camarillo. Hired while the campus was under construction in 1994, Steve pursed all necessary licenses and staff to operate as Ventura County’s emergency shelter. The campus also includes a health clinic, residential treatment center, and non-public special-education school. Serving about 350 children and youth that first year, Casa Pacifica’s array of services has grown to include a full continuum of care offered through 17 different programs – from residential treatment to in-home and school-based behavioral/mental-health services. They have offices in Santa Maria, Santa Barbara, and Camarillo and touch the lives of one out of every 100 children and youth in Ventura and Santa Barbara Counties– more than 3,500 annually. Under Steve’s leadership, Casa Pacifica has become the largest agency on California’s Central Coast serving children and youth with severe emotional and behavioral challenges and their families. All programs are nationally accredited and have received state and national recognition for innovation/excellence. The training institute includes a pre doctoral internship program approved by the APA and provides consultation to agencies country-wide, training over 2,000 providers annually. In January 2018, Casa Pacifica is co-hosting an International Conference of Child & Youth Care Workers including speakers from 10 countries. Under construction is a new cottage for youth with substance abuse/mental-health issues. The culmination of a $16.6 million capital campaign, it includes a multipurpose building for vocational education, training, and conference space along with clinical and administrative offices. A leader in the field, Steve has published a number of papers/articles, is active in public policy efforts benefiting children in foster care and other public service systems, and has served as president of five different state and national organizations. 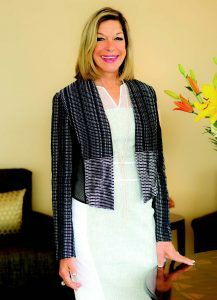 Susan Holland currently serves as Executive Director of Cancer Schmancer. She initially joined the group during its inception in July 2007 in honor of her father, whom she lost to the disease, and friends who have been touched by the illness. A close friend of renowned actress, comedian, health-advocate, and cancer survivor Fran Drescher, Holland stepped up when Drescher asked her to help create the Cancer Schmancer Movement and Foundation, based upon her 2002 New York Times best seller of the same name. The team continues their mission to improve women’s healthcare and empower people across the globe, shifting the priority from searching for a cancer cure to prevention and early detection. Holland is also a health advocate in her own right. Her passion for developing relationships and connecting people serves the foundation well. Before joining Cancer Schmancer, Holland executive produced a travel series with her former husband. She also holds a degree in Fashion Merchandising and Business and specializes in fashion buying, media sales, public relations, and event production. The organization’s lean staff of three wears multiple hats. Holland ensures the company runs smoothly while continuing to execute Drescher’s vision. She cultivates like-minded relationships, partners, and potential sponsors. They are currently promoting their Be the Change educational video, which is the next step in the organization’s Detox Your Home School Assembly Program. The video stars Drescher and Jamie Foxx plus a host of amazing kids and offers practical advice for eliminating carcinogens and other toxins in the home. They aim to expand the program in schools across the country and currently seek volunteers to help with all aspects of the movement. Every year Cancer Schmancer hosts a Health Summit which gathers together thought leaders in medicine and the environment for a master class in cutting-edge health information. One of the major goals is to expand the Health Summit to more cities and turn it into a documentary video series so that people who can’t attend in person can have access to the information as well. The team is also growing their free mammogram Fran Van program which provides screening for thousands of under-served women in the Los Angeles area by partnering with additional providers and communities throughout the United States. Teachers and students frequently applaud their efforts in assisting them to lead healthier lives. Grateful individuals praise the group for encouraging life-saving early detection and other positive behaviors. 15 years ago, thinks he understands why. However, when it comes to the Reagan Library, people from around the world are thrilled to make the trip. Almost a half-million people a year make the 40th president’s museum one of the most visited sites in the state of California and the most-visited Presidential library in the United States. Beyond the Reagan Museum and the numerous special expositions it hosts — from “The Dynasty of Genghis Kahn” to “Pompeii: The Exhibition” — the venue is home to an actual Air Force Oneaircraft. Guests can climb aboard the Boeing 707 that served as the flying White House for seven U.S. presidents. 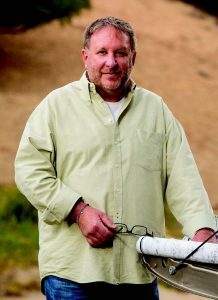 Heubusch, who serves as the organization’s chief executive, often hosts events open to the public, involving appearances by media personalities, entertainers, politicians from across the political spectrum, and best-selling authors. On any given night, he can be found on stage interviewing the likes of former U.S presidents, television hosts, such as Katie Couric and Regis Philbin, newscasters like Tom Brokaw, entertainers such as Mike Love of Beach Boys fame, and award-winning authors like Vince Flynn, Brad Thor, and P.J. O’Rourke. Heubusch, an author himself, has numerous writing credits to his name. In addition to writing pieces for The New York Times, The Washington Post, Forbes, The Wall Street Journal, and other national publications, his first novel, The Shroud Conspiracy, was published by Simon and Schuster in 2017 and ranked as high as #30 on Amazon’s best-seller list. The much anticipated sequel to his book, entitled The Second Coming, is slated for publication in August 2018. With over 20 years of experience in education, behavioral therapy, and child development, Jennifer Lopata has developed an affinity for helping children and teens navigate through adolescence and early adulthood. 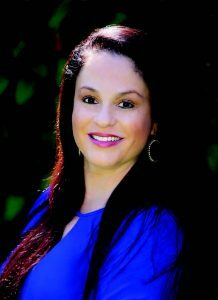 Earning a bachelor’s degree in sociology from UCLA and a master’s degree in social work (MSW) from USC, Jennifer became a licensed clinical social worker (LCSW) and spent her early career counseling severely emotionally disturbed adolescents. The challenging nature of her work served to develop strategies that enabled Jennifer to understand the processes essential to overcoming obstacles for any child or teen. As the mother of three children, Jennifer became acutely aware of the reciprocal role that confidence plays in education and how overcoming educational challenges builds the confidence that ultimately results in academic success. After eight years developing and operating her previous academic tutoring center, Jennifer drew upon experience to create a dynamic new venture in academic services that is both evolutionary and revolutionary. The result is Synergy Academics, which brings unprecedented access and ever-expanding service options to the students it serves in a productive, nurturing environment. Synergy Academics is a comprehensive learning center serving students at every educational level. From elementary school through college, “Synergy Students” benefit from knowledgeable and compassionate tutors who truly care about their happiness and success. The objective is to build confidence in students by developing their natural strengths, turning challenges into triumph. Synergy Academics determines the unique ways each student learns and matches each person with a tutor who truly understands his or her learning process. Combining nurturing tutors with a positive and focused environment, Synergy Academics also provides SAT/ACT prep, college counseling and financial aid assistance. Jennifer’s revolutionary approach to educating students is only part of what makes Synergy Academics unique. Synergy Academics distinguish itself by allowing students to select from any number of exceptional tutors to find the perfect combination of personality, knowledge, availability, price, and even location. They also offer college counseling to help students and parents navigate the college admission process. Jennifer personally gets to know each of her students and her greatest joy is seeing them thrive academically and gain confidence in their abilities. Jennifer resides in the West San Fernando Valley with her husband, three kids, and a “menagerie” of pets and horses. She loves coming to work each day to be with her “other” kids at the center. There were few women leaders in healthcare development when Patricia Will founded Belmont Village Senior Living in 1997. Twenty years later, the company’s service-oriented model has resulted in 26 best-in-class facilities across seven states and in Mexico City, first-rate amenities and hospitality, and nationally recognized enrichment programs. In 2016, Belmont Village’s Circle of Friend’s® memory program for residents with early to moderate memory loss was awarded the Argentum Best of the Best award and acknowledged for improving the future of senior living. Patricia was inspired to start Belmont Village in the 1990s when her mother-in-law, Josephine, was diagnosed with early-stage Alzheimer’s disease. Patricia searched for a senior housing option for Josephine that provided the right balance of lifestyle and care but found none. So, she decided to create a place that offered the unique blend of hospitality, amenities, and premier health care she sought– a place she would be happy to live. out university-based research in the areas of gerontology, hospitality, dining, consumer preferences, and architecture. Her personal story was the guiding principle in creating a new type of senior living community, but it would not be many years that she would reap the ultimate benefit of her inspiration. Her father-in-law, Ed, moved into the first Belmont Village community in Houston and lived there for several years. “It wasn’t there in time for Josephine but was for Ed,” adds Patricia. “He lived in every phase of our community and enjoyed his later retirement years to the fullest. That has been the biggest blessing for me.” The newest Belmont Village community will open in Calabasas in early 2018, offering assisted living and memory care. 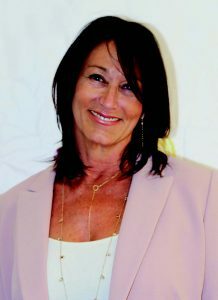 Prior to founding Belmont Village, Patricia was vice president and partner at Mischer Development. Patricia earned an M.B.A. with distinction from Harvard Business School and a Bachelor of Arts degree from Reed College in Portland, Oregon. She currently serves as a board member of numerous academic and charitable institutions, is a recognized leader in senior living, and has played an integral role in setting standards and shaping industry policy. 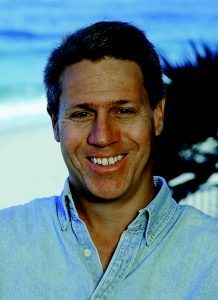 Rob Wynner is a shareholder of Nevers, Palazzo, Packard, Wildermuth & Wynner, a Westlake Village law firm. He advises privately held companies and their owners in structuring, negotiating, and closing strategic transactions. Rob’s clients are at the forefront of several industries, including fintech, information technology, software, consumer products, real estate, restaurants, manufacturing, distribution, insurance, and technology. 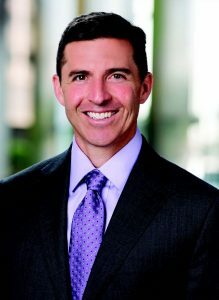 During the past year, Rob completed the following notable transactions: (1) the sale of a privately-owned food processing company to a national foodservice distributor; (2) the sale of a cosmetics manufacturer to a private equity-backed strategic buyer; (3) the acquisition of a mobile technology marketing company involving multiple foreign subsidiaries; (4) private placements for a real estate fund; and (5) the sale of a majority interest in a software and technology company to a publicly traded buyer. Rob also acts as outside general corporate counsel for emerging and established companies, advising clients on such issues as shareholder agreements, distribution agreements, employment and independent-contractor agreements, real estate transactions, and corporate governance issues as well as equity and debt financings, licensing agreements, joint ventures, equity-incentive plans, phantom stock and cash incentive compensation plans, and business succession plans. Rob works to structure transactions creatively so they get done, while at the same time minimizing potential risks. He adds value by collaborating with his clients to understand their business, goals, challenges and concerns, then brings legal expertise into that business to find practical solutions that will be acceptable to all involved. Rob is an executive committee member of the Casa Pacifica Board of Directors. He is a past recipient of the Amigo of the Year award in recognition of his contributions to Casa Pacifica, and he provides pro bono legal services to Casa Pacifica and other local nonprofit organizations. Rob is also active in coaching and supporting local youth soccer. He was a member of the 2017 Maccabi USA Masters soccer team that recently competed in the 20th Maccabiah in Israel. This translates into how he interacts with his clients, viewing their relationship as a team. His understanding of how teams work and how each person who is part of a team can make a huge contribution to achieving great success guides his approach. Rob owns every client issue, every concern, and every challenge alongside his clients so that they know Rob is there for them and is part of their team. Dr. Crystal Nāone has devoted her career to the betterment of youth. As a child of teenage parents, she knows the critical role that the Boys & Girls Clubs of Greater Conejo Valley have in the positive development of children and teenagers. Besides having personal experience and empathy for those who are challenged, Dr. Nāone has an extensive background in developing and leading a high-performing nonprofit with expertise in fundraising and programming that truly serves as a positive force in the community. Prior to he Boys & Girls Clubs, Dr. Nāone served as CEO of the Institute for Native Pacific Education and Culture (INPEACE) for 10 years. During her tenure, she implemented a collective leadership and mentoring model; engaged and built strong stakeholder relationships locally, nationally, and internationally; and garnered numerous awards, including three Best Places to Work designations. 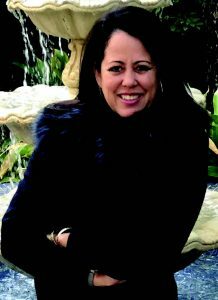 She was one of three finalists for the Pacific Business News 2016 Business Leader of the Year for the state of Hawai’i. She also quadrupled participation in programming and personally raised more than $54 million. Dr. Nāone held many positions throughout Hawai’i, including capacity building consultant for The Learning Coalition, a foundation dedicated to improving education in Hawai’i’s public schools. Other positions included the Community Relations and Development director at Keiki O Ka ‘Āina Family Learning Centers and executive director of The Palehua Project, a for-profit company where she created a leadership program for youth ages 16 to 22. She started her career as a teacher in Hawaii. Dr. Nāone has served on many leadership boards, including the Council for the Alliance for Strong Families and Children and the Executive Committee for the National Grow Your Own Collection. Born in Laguna Beach, California, she returns to Southern California, residing in Westlake Village. She and her husband have 3 boys. She is an avid traveler, reader and crossfitter. For more information the Boys & Girls Clubs, call 818.706.0905 or visit bgcconejo.org. 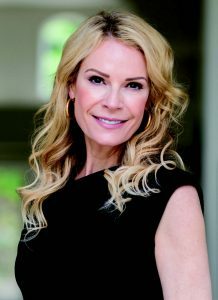 Raina Ring is the founder of Calabasas Travel, a luxury, personal-concierge travel service that serves as a VIP travel consultant in every aspect of travel. 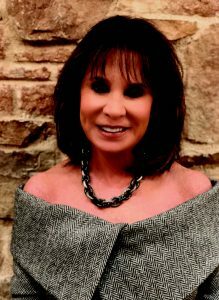 Raina, a long time Calabasas resident, has worked in the luxury travel industry “forever” and has traveled to every continent, cruised every ocean, and experienced countless destinations around the world. Raina also founded the award-winning Sail with the Stars Celebrity-Themed Cruises and DeluxEscapes, affiliates of TravelStore, the most reputable travel agency west of the Rockies. For Raina, traveling isn’t simply a trip but a journey that leaves her transformed and forever changed by the experiences. Calabasas Travel offers an elevated and unparalleled experience from start to finish. It’s a full-service concierge travel agency built on exceptional service, personal knowledge, and experience. Raina specializes in creating individually designed journeys and fulfillment of bucket-list travel. Her clients receive the best of the best in travel planning and coordination. Her mission is built on the foundation of a deep-rooted passion for service and hospitality, while her intimate knowledge and numerous personal, insider connections allow her to provide VIP treatment and white-glove service in every way. As a member of Signature Travel Network, Calabasas Travel provides exclusive benefits around the world equivalent to travel services provided by luxury credit cards. Special travel services offered include safaris, exotic destinations, all types of cruising, private island and villa rentals, destination weddings, honeymoons and baby moons, golf and sporting-event travel, private jet and yacht charters, meetings and conventions, and around-the-world trips. No one said marrying glamour and functionality would be an easy task for an interior designer, but it’s a relationship Maya Williams has mastered. So much so that in the past three years, her company has reached well beyond the boundaries of her home base in Southern California. She recently completed projects in New York, Tokyo, and Hong Kong. Her work even came to the attention of Jack Ma, the founder and executive chairman of Alibaba Group and the richest man in China. “When you’re working with Jack Ma, you have to be extremely quick and knowledgeable in your craft,” Maya explains. In 2009, after working as the lead designer for eight years at a Westside design firm, Maya founded Maya Williams Design with the bold vision of making residential interior design significant in daily life. Maya takes on all levels of residential projects, including remodels and new construction. Inspired by working on many estates designed by world-famous architects, like Gordon Kaufman and Paul Williams, Maya advocates for the preservation of historical architecture. “Helping new owners with their mid-century modern restoration projects is a passion of mine,” she says, “And bringing them back to their former glory is an honor.” A portion of her yearly profits go to local and international philanthropic organizations. When it comes to weight loss, Dr. Nina Savelle-Rocklin wants the world to know it’s not about willpower. She’s on a mission to help people get healthier without counting a single calorie or carb. Considered a thought leader in the field of eating psychology, she’s guided thousands of men and women to heal their relationships to food, stop the binge-diet cycle, and lose weight for good. Dr. Nina’s personal experience gives her a unique understanding of what it’s like to struggle with food, weight, and body image. As a child and throughout adolescence, she struggled with eating disorders. Today, she is a psychoanalyst, author, and radio show host, bringing a fresh perspective to weight loss by helping clients and listeners focus on what’s eating “at” them instead of on what they are eating. She’s been featured in Psychology Today, the Los Angeles Times, Prevention, Real Simple, Redbook, Huffington Post, and many other publications. She is also a frequent guest expert on radio shows and podcasts, including the Dr. Drew Podcast. Dr. Nina was inspired to develop an online program to help those who are unable to see her privately. She created Kick the Diet Habit, a 30-day online course to help as many people as possible make peace with food from the comfort of their homes. The program is currently international, with members from over 19 countries. One popular concept is the Food-Mood Formula, which correlates specific foods and moods. Smooth, creamy foods are associated with a wish for comfort. Bulky, filling foods are connected to loneliness. Crunchy textures are linked with anger. By addressing these underlying triggers and using comfort words instead of comfort food, it’s possible to create permanent, sustainable weight loss without dieting. Above all, she wants everyone to know that there is always hope. Dr. Nina currently offers several free resources on her website, winthedietwar.com. For information on her online program, please visit kickthediethabit.com. Gall Raiman’s passion for large and exquisite diamonds began more than three decades ago when he first earned his GIA and AGS certifications. Since then, he has mastered the techniques and trends driving high-end jewelry design, establishing ongoing relationships with the finest diamond suppliers around the world. 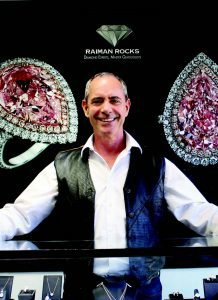 Gall led a successful diamond and jewelry manufacturing business for 20 years prior to opening Raiman Rocks in 2006 and has been a member in good standing of the Diamond Club West Coast since 1987. Gall founded his private jewelry showroom utilizing his expert skills in all aspects of the industry, his keen eye for unearthing rare treasures, and his insatiable appetite for discovering the newest trends in the gemological world. This hidden gem, located in the Calabasas Square business park near the upscale retail and entertainment center the Commons, specializes in fancy color diamonds. The store showcases a collection of rare colorless and natural-color diamonds, carefully selected from many unique sources, including colorless and pink diamonds from Africa, green emeralds from Colombia, and red rubies and blue sapphires from Burma. Raiman Rocks clearly reflects Gall’s core values: to deliver flawless integrity, expert knowledge, uncompromised value, and exceptional service. Since the store’s opening in 2006, the company has become a wholesale leader in the large and natural fancy color diamond industry, delivering outstanding diamonds at incomparable prices. Gall delights in seeing each of his clients thrive. He believes that when you act out of integrity and treat others like members of your family, you weave a web of reciprocation leading to mutual success. He remains the jewel behind Raiman Rocks. The master gemologist possesses a true capacity for creating both stunning pieces and lifelong customers. He offers a free evaluation to those seeking their dream diamond, sparkling investment, or complimentary appraisal. His methods are evidently working. Customers continue to praise Gall’s integrity, high standards, first-rate knowledge, keen eye, and expert craftsmanship. They greatly appreciate his personal guidance, detailed renderings, and caring, personal attention. And his exquisite gemstones and breathtaking settings will dazzle your heart, light your imagination, and enliven your soul. 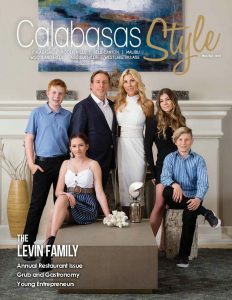 Gall lives and works in Calabasas alongside his wife, Galit. They are enthusiastic, proud supporters of the Santa Monica Mountains Fund, participating in their fundraising and hiking events. The couple also enjoys special road trips with the Ferrari Owners Club, dinner with good friends, and some of the world’s most dazzling diamonds. Brain Optimization has been scientifically proven throughclinical trials and its use by the U.S. Army and Mayo Clinic, to name a few. This technology has been around for over 30 years and has helped over 100 thousand clients worldwide. Brain Optimization is different from bio feedback or neurofeedback in that it creates an acoustic mirror of brain activity in real time. When the brain hears its reaction, it is prompted to adjust its activity to a more balanced state, resulting in healing on its own terms. The sessions are non-invasive, very relaxing and, most importantly, effective. In the construction field, Daniel Burgess is that guy called upon to rescue construction projects that have gone sour. In fact, from the crested gates of Beverly Hills to the sprawling ranch estates of Hidden Hills to the grand vistas of Malibu, when the topic of conversation turns to construction woes, there is a bit of sage advice offered by those who have experienced that pain: “You need The Fixer.” The term of endearment given to Daniel by his loyal clients. Daniel Burgess has been assisting home owners, building owners, contractors, and architects throughout Southern California for the past 25 years. His fundamental responsibility is to oversee every aspect of a construction job, ensuring that the project gets done correctly, on time, and on budget. Proficient in all aspects of new construction, remodeling, and additions, he has saved his clients millions of dollars, years of time, and even a few marriages. Daniel takes on a holistic management role for each project. This includes reviewing the details of each contract and subcontract, thorough onsite inspections, plan and design reviews, and providing cost analysis reports. He also does a rigorous pre-construction review to put together solid estimates and schedules and takes other key steps to avoid snags during each phase of the project. The bottom line is that his approach actually protects your bottom line. The money you save is considerably less than the cost of his fees, to say nothing of the deadlines that are met and your peace of mind. Don’t let your dreams turn into regrets; call The Fixer.